Love being organised? NBN pre-order is here! A number of Australians are getting ready for when the NBN™ comes-a-knockin’ on their door! We’ve found a way to do the waiting for you so that you can keep on livin’ your life in the meantime. That’s right, you can take the hassle out of moving to the NBN™ by pre-ordering! If your address is expected to be ready for NBN™ in the next 3 months, you can pre-order your new NBN™ service now, then sit back and relax knowing you’ll be connected to superfast internet to suit your family’s needs as soon as possible. Don’t know when the NBN™ will reach you? Head on over to our NBN™ Coverage Checker and enter your address in the box that looks like the one below. If NBN™ is on the cards within the next 3 months, you’ll see the option to “Pre-order the NBN™“ to get your connection started as soon as the NBN™ arrives at your address (example below). Now that’s convenient! 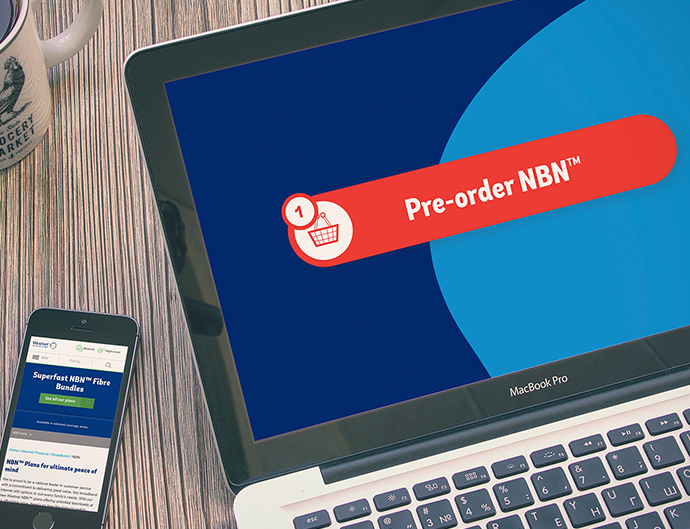 To pre-order NBN™, simply fill in the form on-screen just like a regular broadband order. Then simply leave the rest to us – we’ll monitor NBN™’s availability at your address and spring into action as soon as NBN™ is available. Make sure you stay up to date with the rollout as new premises continue to be connected to the NBN™ connection in 2017. Want to keep an eye on the progress of the NBN™ rollout? Bookmark our NBN™ Coverage Checker – it lets you pinpoint exactly where sites have been built and where construction is currently underway. With so much progress planned for this year, start checking your options to ensure you get connected with the right NBN™ plan for your family.